Even the sharpest of minds can’t remember all the wedding suppliers that have caught their eye during a browsing sesh – believe it we’ve tried! 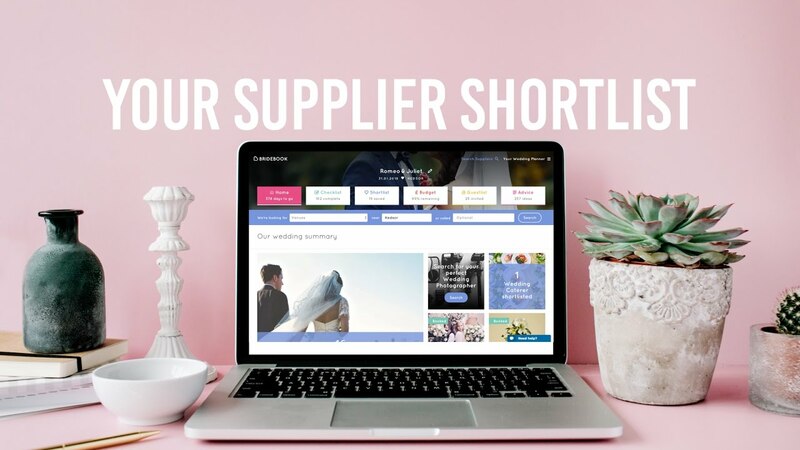 With your interactive Supplier Shortlist you can organise the suppliers you’ve viewed and loved, find new suppliers you are yet to discover, and add and compare supplier quotes. Finding and managing your suppliers has never been so easy! Your free Wedding Planning Checklist will be created automatically and personalised to you, based on your wedding date. The checklist will let you know when to complete each wedding planning task, and it will lead you through each part of the process with education, pricing guides and questions to ask your suppliers. Stay informed, on track and relaxed as you work your way through your tasks. Click the button below to join and create your free personalised wedding checklist now! Have you found your perfect wedding suppliers yet? For each category of event supplier from Wedding Venue to Florist to Entertainment, you and your partner will need to go through the process of research, discovery and selection. You’ll need to keep track of all the prospective supplier options for each category, and add and compare quotes so you can make the best, most informed decision. Once you’ve decided on a supplier, simply mark them as booked (yay!) and your Supplier Shortlist slowly evolves into your booked Supplier Manager..making it easy to view all of your wedding contacts at once. It’s the simplest way to manage all the suppliers you’ve considered with single, easy-to-use tool. Choosing a particular supplier for your wedding can be time-consuming and a bit daunting since the average wedding involves more than 10 different suppliers from wedding venue to cakes, to rings, to dresses, to photographer and videographer...the list goes on! Find the planning tools, suppliers and advice you need to plan your wedding, your way.